Class of 2021 guard Peyton Andrews of Norman, Okla., showed her skill to our staff with her play at the #PSBSummerInvite in July 2016. Brandon Clay’s takeaway – Video Evaluation (May 2017): Andrews is a talented guard who is building on Jon’s evaluation below. 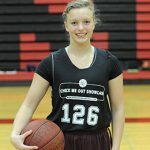 Her size, skill package at an early age makes her a unique prospect with plenty of room still to grow her game. Andrews has range to the 3-point line, handles well in the open floor and can find the open teammate when presented the opportunity. 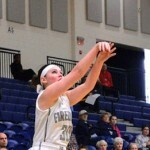 She has also demonstrated the ability to attack off of the bounce going in either direction. 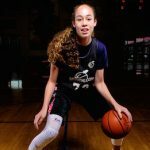 Jonathan Hemingway’s takeaway – EBAAllAmerican Camp (Sept. 2016): Andrews is a fundamental guard with a good build and confidence in her handling. She has a nice hesitation crossover to go to her left hand to finish. She showed a nice jumper in drills as well. The key for Andrews will be to stay in the gym working and keep adding ways to affect the game each she steps onto the court. ‘21 W @peyton32andrews of @ArkansasBanshee is ready for the week. Games tips at 8:30 am. 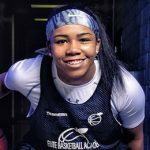 ‘21 G @peyton32andrews (OK) of @ArkansasBanshee earned words from @girlzprepreport. Catch ‘18 PG Ty Staten (OH) with @FairlandBball on @SUVtv during @FlyinToTheHoop. Available ‘18 G Payton Shears (KY) heard from Alderson Broaddus & Notre Dame College. ‘21 G Peyton Andrews (OK) had Oklahoma St watch her this week. July 23-26@Plove55, @OSUcoachD & @TariC21 in for '21 G @peyton32andrews of @ArkansasBanshee. 7/23-24 | #PSBSummerInvite@peyton32andrews (OK) of @ArkansasBanshee is a '21 G to . '21 G Peyton Andrews (OK) visited Arkansas. 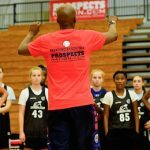 '21 @peyton32andrews of @ArkansasBanshee caught @girlzprepreport's eye. ’21 G Peyton Andrews has grown since @JLHemingwayPSB‘s #EBAAllAmerican eval. ’21 @peyton32andrews handle is nice! 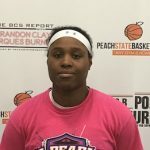 Full eval from @BrandonClayPSB dropping soon! ’21 Peyton Andrews shined at #EBAAllAmerican. ’21 G Peyton Andrews (OK) has a “Film Room Breakdown” coming. 2021 Peyton Andrews stood out at #EBAAllAmerican w/ her quality game.